COMMENTARY BY: Director Ridley Scott, Actor John Hurt, (Kane) and Designer H.R. Giger. WITH: Dr. Mark McConville, Dr. Paul F. Tompkins, and Dr. Matt Gourley. NOTE: This commentary was done with the original version of The theatrical release of Alien but can still play along nicely with the other special editions and various abominations. 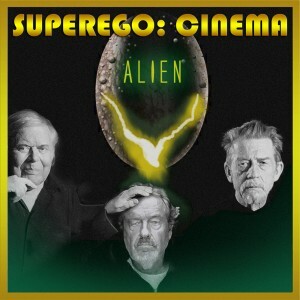 This entry was posted on Friday, April 1st, 2016 at 12:00 AM	and is filed under Superego Cinema and tagged with Alien, H.R. Giger, John Hurt, Kane, Mark McConville, Matt Gourley, Paul F. Tompkins, Ridley Scott. You can follow any responses to this entry through the RSS 2.0 feed.